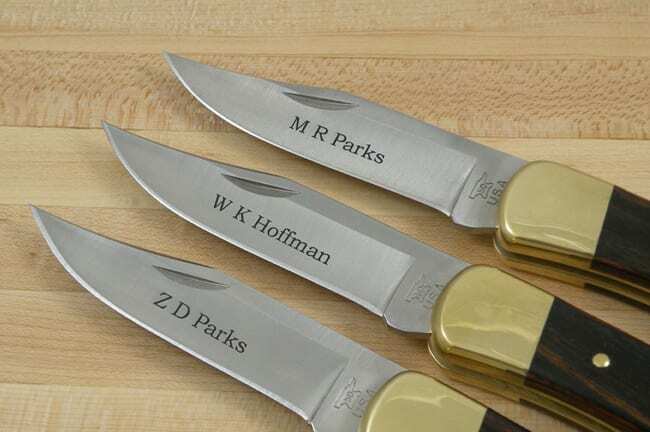 After flasks and money clips, knives are among the most popular groomsmen gifts. Why is this? Sure, they’re useful, but we think there’s more going on. Let’s just say this is a class of products that satisfy a primal need in most men: to hold a weapon (without actually having to be violent). Plus, there are so many types to consider: Swiss Army knives, folding pocket knives, chef’s knives, and so on. 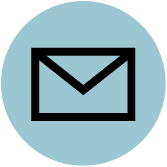 What follows is a roundup of gift ideas that should appeal to groomsmen of all cultures, budgets, and levels of testosterone. A classic since its debut in 1963, this handsome, utilitarian folding knife offers the sturdiness of a fixed blade. Think of it as the knife equivalent of a whiskey neat: It will never go out of style and it always does the trick. American made and fully engravable, it’s also backed by Buck’s “forever” warranty. 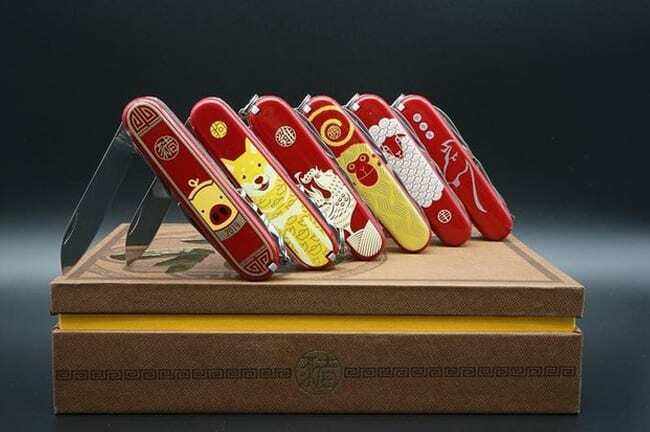 Commemorate the year of your plunge with this limited-edition model of the world’s most useful pocket knife. The traditional red body is emblazoned with a bright graphic honoring this Year of the Pig (a sign of the prosperity, optimism and bacon to come). 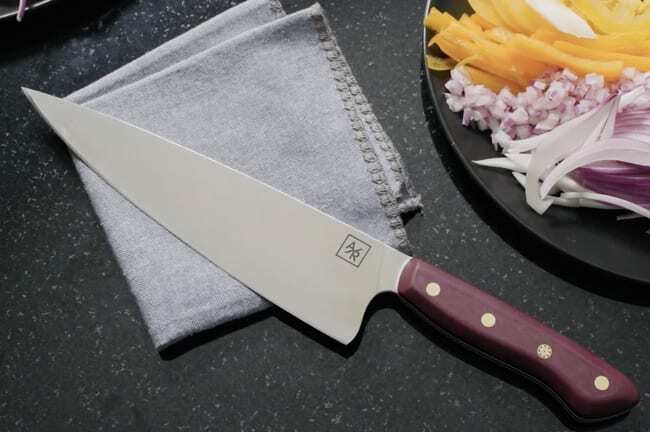 Featuring 16 functions, each medium sized knife comes with a wooden gift box and a unique serial number between 0 and 8,888. Your groomsmen have always been by your side. Show them how much you appreciate their willingness to be your wingman with this aptly-named lifesaver from Leatherman. 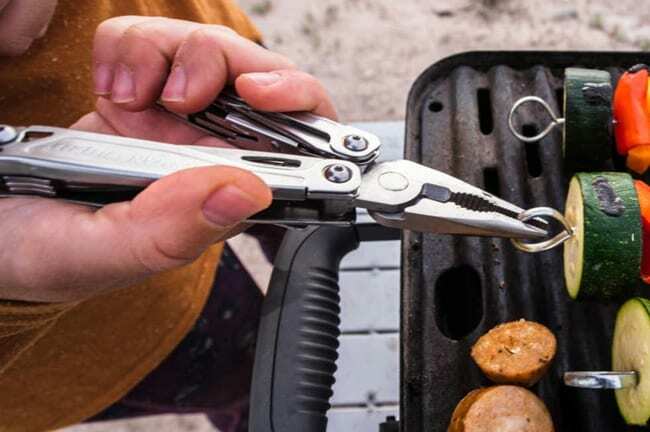 Essentially a Swiss Army knife on steroids, this heavy-duty tool has an engravable stainless steel body and is just as useful in the deep woods as it is on the back deck. Among its fourteen tools are regular and needle-nose pliers, wire cutters, a can opener and yes, a knife. 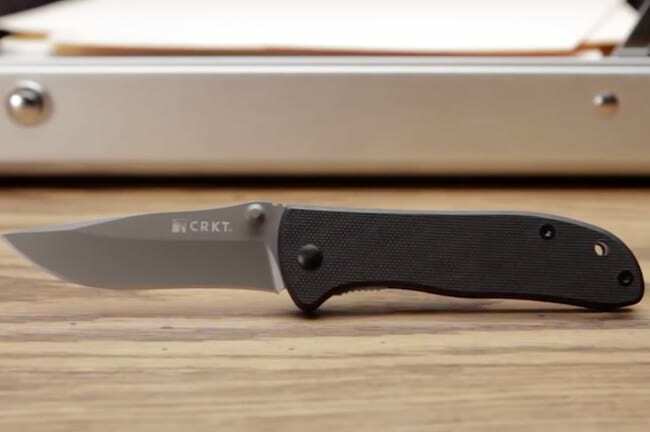 A lightweight, inexpensive folding knife designed for everyday carry, the Drifter offers a compact size, butter-smooth blade deployment, a pocket clip and a grip area works with all hand sizes. It doesn’t have a lot of frills but it’s sleek design and minimalist, pebbled black handle lend it yards of modern style cred. This is a perfect first survival knife for novice outdoorsmen designed by the Man vs. Wild host. An especially ideal gift if your bachelor party plans involve camping, climbing or hiking. It has a 4.75-inch, drop-point blade that’s half serrated (perfect for cutting rope), a textured rubberized grip, a fire starter and an emergency whistle, because there’s always that one friend who gets lost at the end of the night. Okay, so this is technically not a knife, but if your groomsmen are an outdoorsy bunch they’re probably already set in that department. 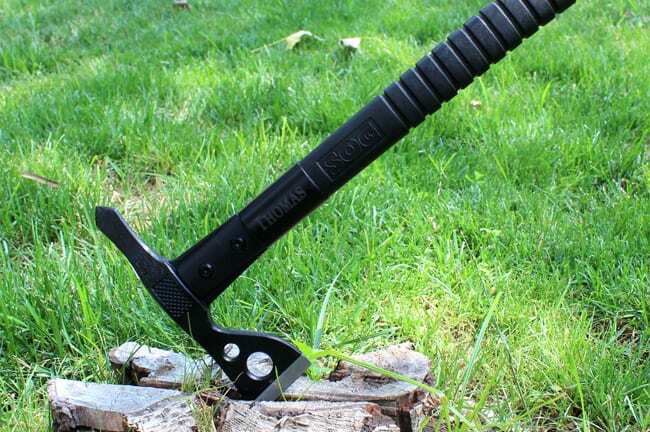 Take their hunting, camping and climbing to the next level with this multi-purpose hatchet axe. Lightweight and powerful, the Fasthawk can be used for chopping, chipping, notching, digging and even throwing (safely, of course) and the ballistic polymer handle can be diamond engraved. Slim, steel and more badass than a black card, this wallet-sized survival tool makes for a gift as unique as it is practical. When paired with a zip-tie, fishing line or paracord, any stick can be transformed into a fully-functioning axe, hatchet or spear. If you and your groomsmen have learned anything in your years together it’s that anything can happen, so it’s best to be prepared. Expertly crafted and backed for life with a hassle-free transferable warranty, the Laser Strike from ESEE is a serious blade to celebrate serious friendships. The full tang fixed-blade knife will come in handy for any backyard task, wilderness adventure and/or zombie apocalypse. In other words, a gift that keeps on giving. Buy your groomsmen dinner and you feed him for a day. Buy your groomsmen an insanely sharp, versatile kitchen knife crafted with the same durable steel favored by U.S. Special Forces and they’ll be inviting you over for dinner parties for many years to come. It ain’t cheap, but it will last forever… and it doesn’t get more cutting-edge.